Temperature are measured on the sole of the foot (first, third, and fifth metatarsal head; great toe; central mid-foot; and heel) and dorsum. Higher temperatures were considered to indicate ongoing inflammation. If the temperature of corresponding sites on the left and right foot differed by >2.2oC (4oF), patients were advised to contact the doctor and to reduce the number of steps taken in the following days until the temperature difference was <2.2oC. 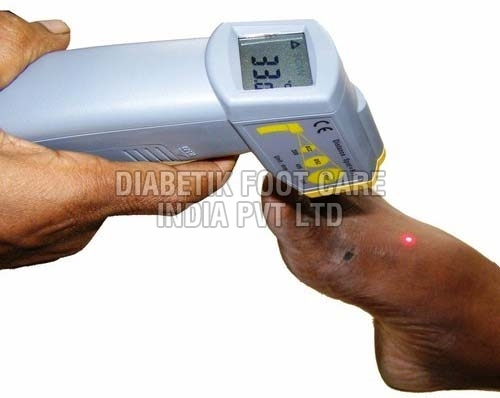 Early diagnosis and early treatment is crucial for the healing of diabetic foot lesions and resources for early interventions must therefore be available to take care of a higher number of suspected foot complications.